An art loving couple was able to purchase an outstanding scenic property in the north of Stuttgart with spectacular views over the city. Vista House is reached via a southern access road situated below. 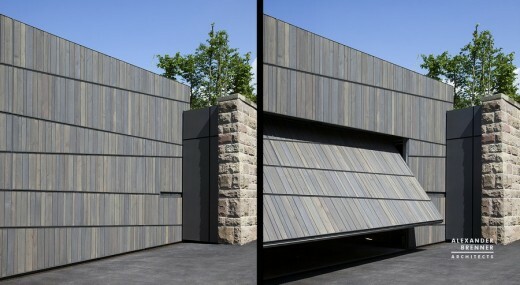 While the garage, situated below the garden, is visible only through a wood-clad incision in the existing sandstone wall, the arriving is guided onto the property by a black concrete sculpture, a freely formed polished wall. A gently curved path leads via the east side to the entrance at the rear of the plot. The relatively close buildings on the eastern and northern neighboring properties led to an angular building that is largely closed to these sides. To the view in South and West direction, however, the building structure opens with floor to- ceiling or multi-storey glazing. 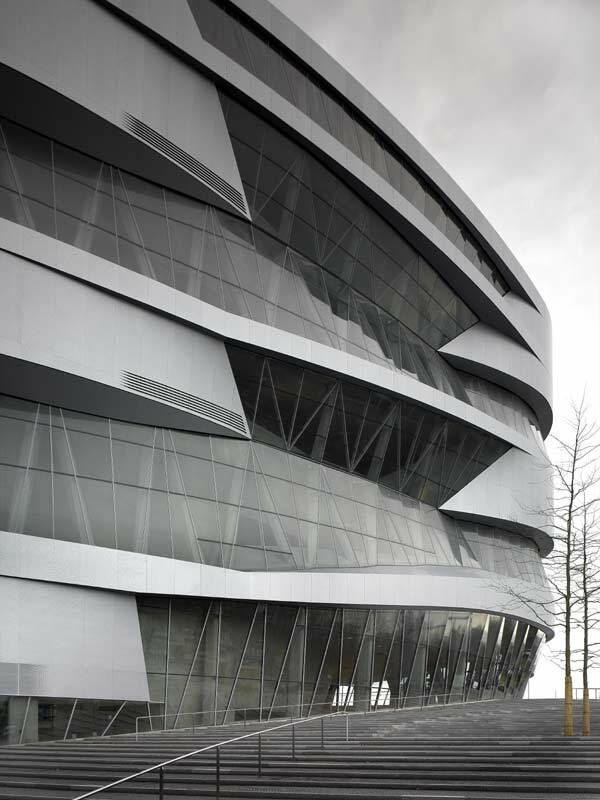 The angular shape of the structure compensates for the different building depths of neighboring buildings. Also it creates a sheltered courtyardlike exterior space in the pool and garden area. The cantilevered roofs protect the south-facing house from the sun and “direct and frame” the view into the valley. This predominant view gave the house its name – Vista House. The clients wish was to be also able to place their pieces of art on the walls. Therefore the living space is extended over two floors. In the lower garden level a rather introverted, warmer and more intense colored living room with a library, workplace, piano and fireplace was created. 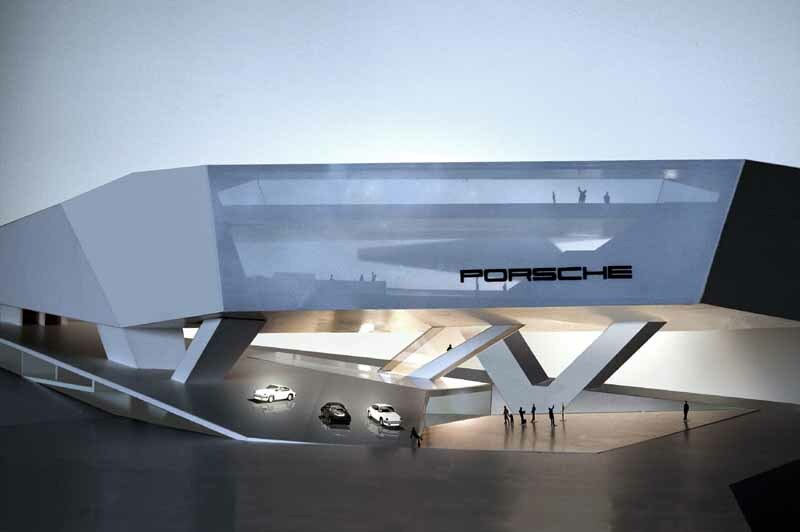 Via a single flight stairway in an air space one reaches the bright, light flooded upper living level. White dominates here as a neutral background for art. The flooring is made of deep dark bog oak floorboards. This flooring goes through all areas as a continuous companion, including the dining room, the kitchen, which can be used both connected or separated by two floor-to-ceiling high, solid oak doors.